After the stunning events in the first season finale that found all the survivors of the Ark attempting to return to the surface, and The 100 in an epic battle with the Grounders, there are plenty of questions for Season Two. Foremost - who are the mysterious Mountain Men? Who survived the battle with the Grounders? And what’s with that mysterious while room in Mt. Weather? THE REVIEW: After a riveting first season, I was eager to see how things would play out in season two. A lot of cliffhangers/unresolved stories were set in motion at the end of “We Are Grounders, Part 2”, all of which I wanted immediate answers to. Season two picks up right where season one leaves off. Clarke (Eliza Taylor) is still stuck in a white medical room in Mount Weather and the Ark (at least part of it) survived the descent to the Ground and is now setting up camp. There’s more mystery and more things to learn about the characters/locations but this increase in complexity doesn’t hurt what makes The 100 so interesting. While there is more going on in season two, the same restrictions are still imposed which makes for some great storytelling. Mount Weather is full of surprises (and another Battlestar Galactica alum) and is the main focal point which all the stories feed into. Yet more moral- and ethical-questions are raised due to the practices inside Mount Weather and it also leads to an unlikely (and rocky) alliance between the people of the Ark and the Grounders. Season one provides a lot of backstory on how the world was destroyed and what forced everyone to flee into space, but season two covers what happened on the ground in the 97 years since the destruction occurred. The mythology behind what happens is often my favorite part of a film or TV show, and season two of The 100 proves why that is. While I enjoyed the overall story arcs of Mount Weather and the Ark/Grounder alliance, the other parts of this season seemed to drag on and not go anywhere all that interesting. The main one in question is Jaha’s (Isaiah Washington) survival on the Ark/descent to the Ground. How he returns to the Ground is interesting and a little surprising (though the crying baby never felt like it was really there), but becoming the prophet to find the “Land of Light” is where I start to draw the line. Jaha certainly plays the prophet role well but when he starts to become delusional and go against the foundation of his character, it starts to falter. Another similar occurrence is the drastic change in Finn’s (Thomas McDonell) characterization. I understand he does what he does (because of his love for Clarke), but at a certain level, he crosses the insanity line way too quickly that I didn’t full believe what Finn was going through. Change is understandable, especially under the circumstances these characters go through, but the people Jaha and Finn become just don’t make sense in the short time frame we see. Jaha and Finn’s character changes though help me better identify the problem I had with season one, and with The 100 as a whole. I described it before as having a “Tumblr-esque” focus and that “the dialogue and reactions can be way over-the-top and so inane that it takes you out of the otherwise engrossing story.” While I think this description still holds true, a more accurate way to portray this complaint is drastic and implausible shifts in story and character. Finn goes from being one of the kindest and most beloved characters in the show to the cruelest and most asinine. Jaha goes from the respectable leader who had to make the tough decisions in order to keep his people alive to a selfish and ungrateful leech, sacrificing others for his own betterment. As I mentioned last time though, I still find something oddly appealing about this seemingly alienating practice of making characters detestable. Before I said, “You can’t help but shake your head while you are simultaneously mesmerized by everything else that’s happening on the screen,” which mostly holds true except I would change “shake your head” to “yell uncontrollably at the screen”. My complaint is that I don’t want to be angry at these characters. Instead I want to root for them, and in cases where they do something stupid, know that it’s because it’s part of a natural progression and evolution of who they are. I can’t say I’m happy with yelling at my computer screen, but that certainly shows The 100 is capable of eliciting a big emotional response. 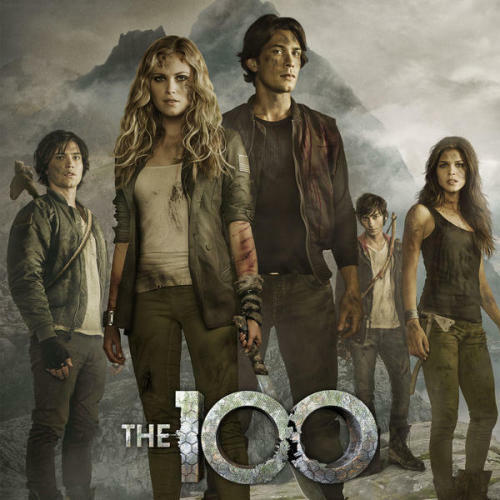 THE TAKEAWAY: Season two takes what made The 100 great and expands upon it, investigating the history of both the Mountain Men and Grounders. The arrival of the Ark on the Ground makes for an interesting dynamic between the adults and kids, especially between Clarke and her mother Abby (Paige Turco). But while parts of the show are improved, the expanded scope also hurts the show slightly with distracting subplots that don’t really go anywhere until the end of the season. That being said, I’m excited for where the story is going and how the cliffhangers presented in “Blood Must Have Blood, Part 2” will be resolved.